OBD II type vehicle tracker. 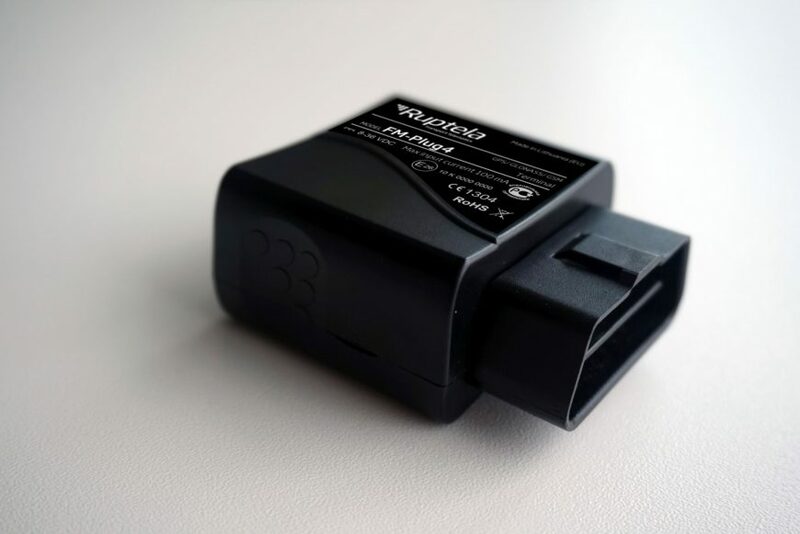 The FM-Plug4 is a GPS tracker that connects to the vehicle via an OBD II socket. 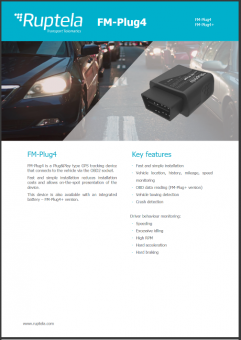 FM-Plug4 is a Plug & Play type vehicle tracker with fast and simple installation. Due to its installation type, this tracker allows making on-the-spot presentations. All manuals are available at doc.ruptela.lt. FM-Plug4 – without internal battery. FM-Plug4+ – with internal battery LiPo 3.7 V 190 mAh. For more information on this product, please complete the form below.